Bushra Daud Ahmad joined Middlesex University in 2006 following a number of career changes. 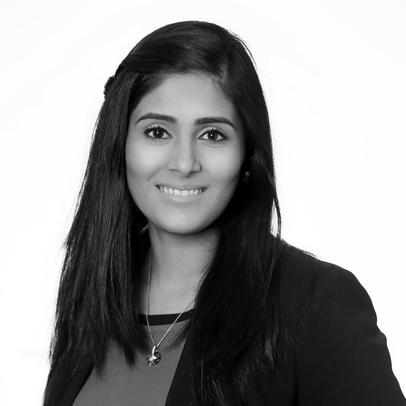 Bushra's first career was working in the Banking Sector, followed by recruitment consultantancy for both Transport for London and Department for Trade and Industry. Bushra is a qualified lecturer, working as a module leader for both home and overseas modules. Her areas of teaching include International Management, Global Business Context and Research Methods. Bushra holds a bachelor's degree in Information Technology (BSc Hons) a Master's degree in Human Resource Management (MA HRM), a Post Graduate Certificate in Further Education (PGCE PcertFE), and is currently undertaking a PhD with the School of Business & Management and Law. Bushra is currently conducting research on 'Evaluation of Training Programs Offered to Ex-Offenders and the value added to the British Economy'. This research will contribute towards the final PhD.